This is an older photo, taken about three years ago. I just came across it and figured I'd share it. 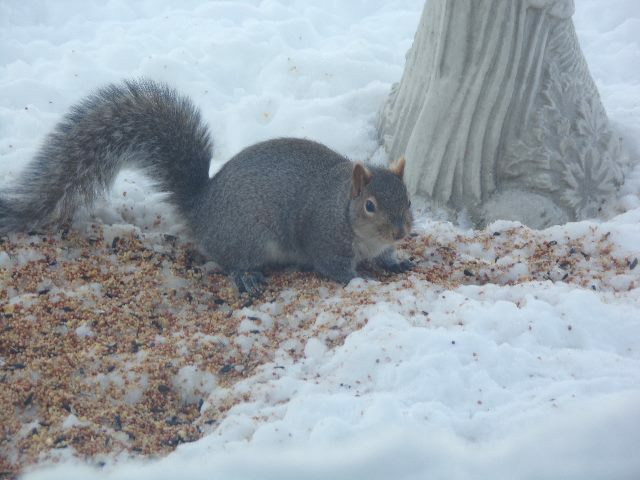 In fact, I'm kind of hoping the squirrels stay out of that wind as much as they can today. It's pretty nasty out right now and I would hate to have them freezing to death on my front lawn.